As the final hours of Autumn slip away with the low sun, and Winter arrives in her frosty chariot, I’ll be celebrating the Solstice this evening with friends and family. 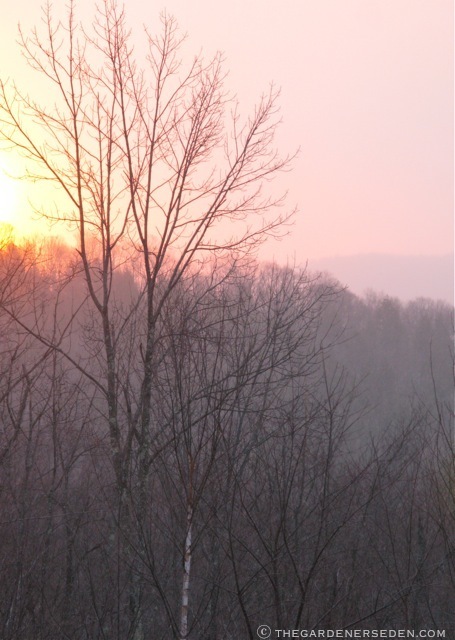 Marking the Winter Solstice is one of my favorite holiday traditions. And this year, while searching for a special cocktail to serve at a holiday party, my very resourceful friend Mel happened to send me a fabulous list of libations from the New York Times Online. Jackpot! 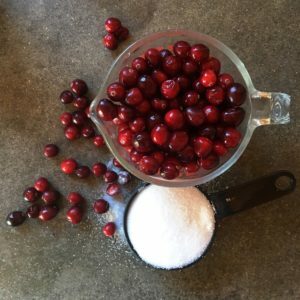 Being an Alpine-kind-of gal, the very first recipe on the list immediately caught my eye (although Mel and I both agreed that the name didn’t do it justice, so I immediately re-named it The Krampus). This pine and elderflower-essence-infused, sparkling drink honors Krampus: a mythical, demon-like, pagan character from familiar childhood tales. 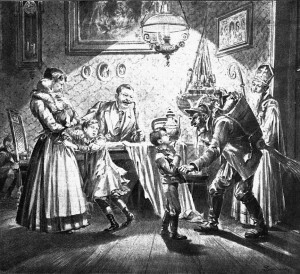 According to Alpine legend, St. Nicholas (Santa Claus) travels with the rusty-chain laden Krampus from house to house, warning and punishing bad children (sound familiar?). Krampus is one of those hold-over pagan elements —much like the decorative evergreen tree, yule log, and other little bits of holiday cheer— that accompany Christmas. 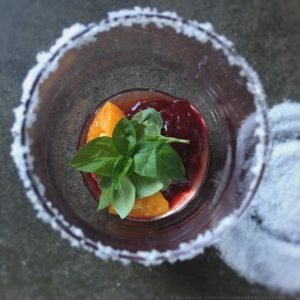 I think this Alpine-influenced story and recipe make a particularly appropriate cocktail to celebrate the longest night of they year, don’t you? Have you been naughty or nice? I think a visit from Krampus would be exciting either way! Unfortunately, one of the main ingredients —pine liqueur— proved impossible to locate on short notice, (though it can be found online and in specialty liquor stores). However, I did find a good piney substitute —rosemary liqueur— to use in its stead. 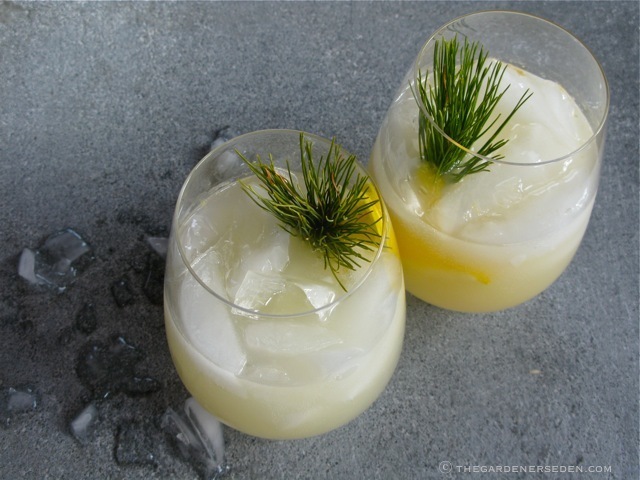 And with a sprig of fresh white pine (Pinus strobus) tucked into the glass, this drink is tasty, fragrant, horticultural and festive. 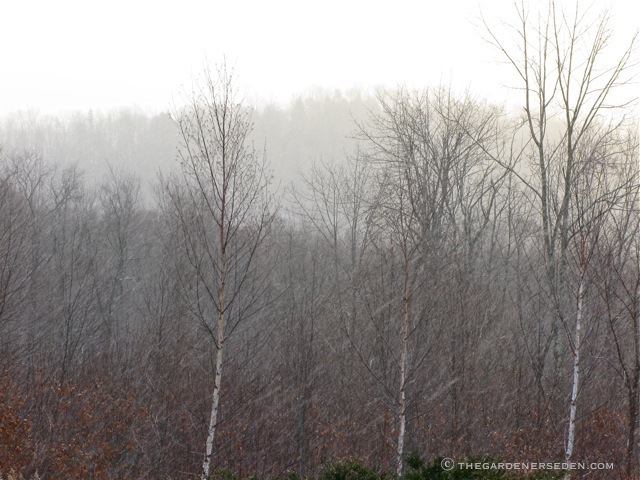 Enjoy the Winter Solstice, and the stark, white beauty of this spectacular season. Cheers! Add ice to a large cocktail glass and combine the wine, vermouth and liqueur. Stir and top off with the prosecco and club soda. Twist a grapefruit peel over the cocktail and stick it in the side of the glass. 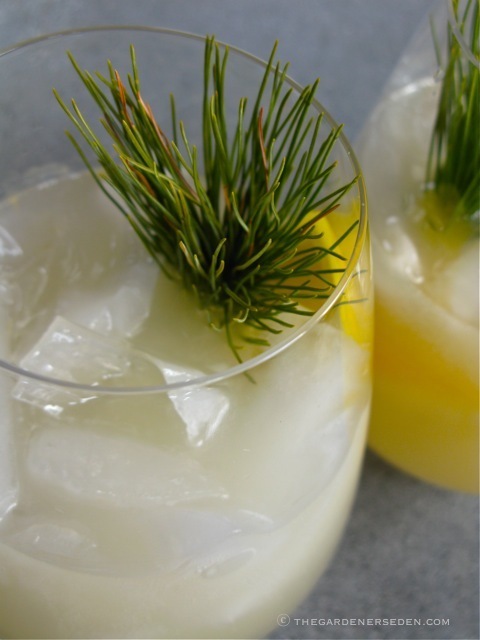 Garnish with a small sprig of white pine. May You Find Beauty and Happiness in this Sparkling Season. Happy Holidays! 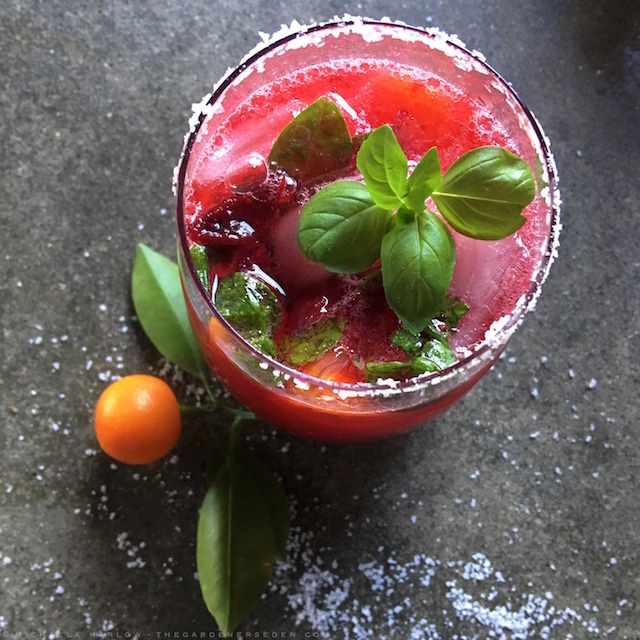 I have to tell you that I have been barely able to contain myself for the past few weeks, eagerly anticipating the moment when I would share this special Winter Solstice cocktail. Yes I know, I am as silly as a little kid – it’s true. But this really is the perfect drink to celebrate the season. Why, why, why – You ask? Well, it’s because this champagne cocktail contains three seeds from the pomegranate, the mythical fruit of Greek legend, explaining the seasons. 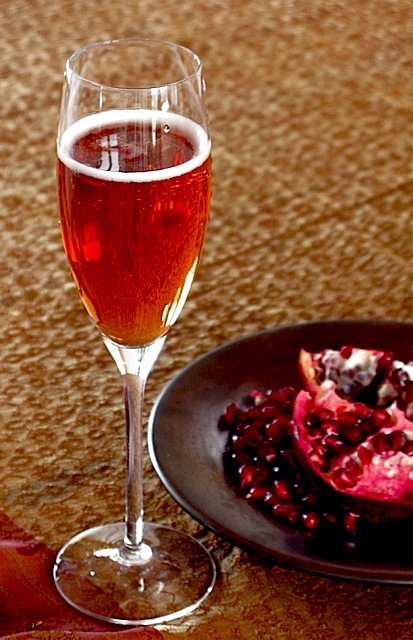 But before I get into the story, let me tell you the most exciting thing about this drink: when pomegranate seeds are dropped into a glass of champagne and pomegranate liqueur, they become suspended by bubbles rising in the sparkling wine. 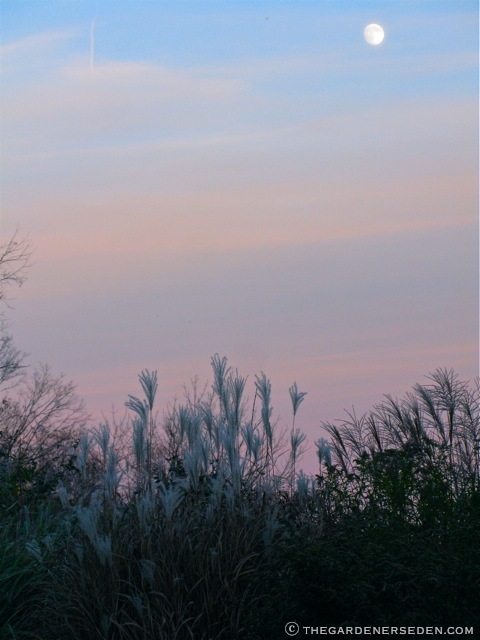 They float up and down; lifting, dipping and swaying, as if dancing to music. How festive is that? 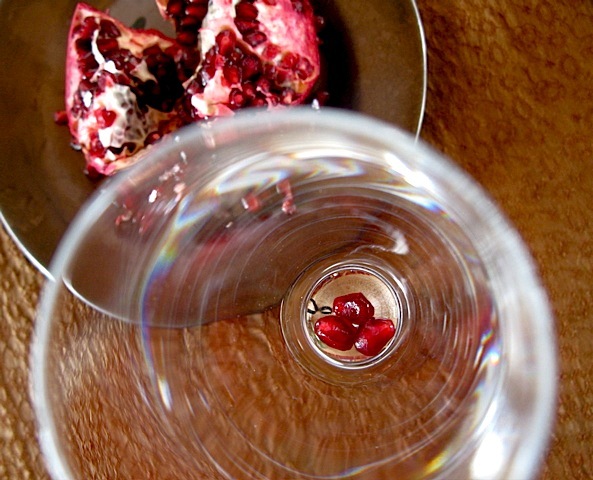 I love watching the ruby red seeds float around like lively party-goers in my champagne flute, and I know you are going to get a kick out of it too. 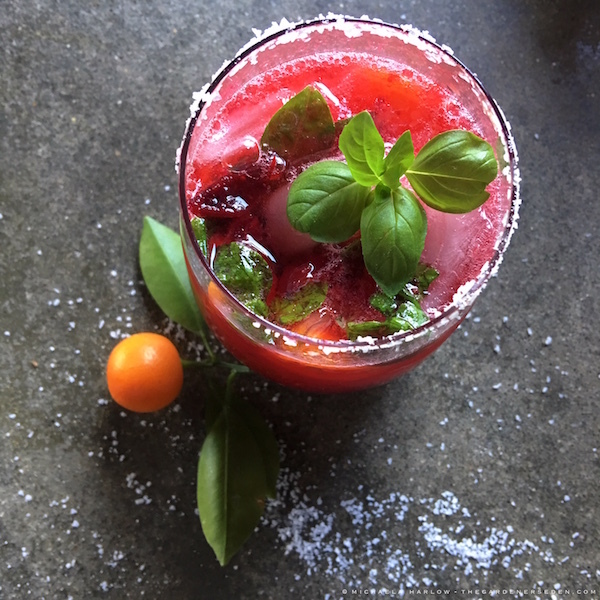 Of course you know this drink deserves center stage at your next holiday party. 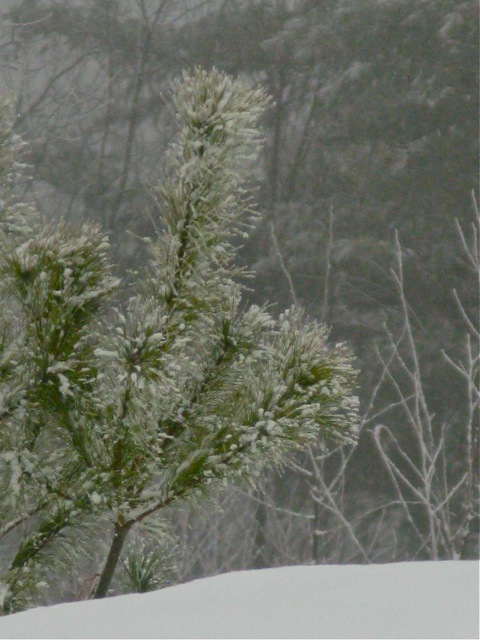 According to Greek myth, Winter is explained by the grieving of Demeter, goddess of earth, fertility and the seasons. Many, many years ago, Demeter lived an idyllic life with her beautiful daughter Persephone, child of her union with the highest god, Zeus. Their days were spent tending to earth’s fertility, and their long, lovely evenings were passed enjoying the harvest and song. Then, one day Persephone went out into the fields to pick flowers with a group of nymphs. Suddenly, the earth cracked open, hissing and shaking them to the ground. Hades, god of the underworld, had been observing Persephone from the shadows, and in a moment of jealous desire, he reached out and dragged her beneath the soil into his kingdom of death – claiming her as his bride. Unaware that her child was abducted, (swept beneath the earth by Hades), Demeter desperately wandered the forests and fields for months. While searching for her beloved daughter, the goddess of fertility unintentionally allowed the earth go to waste. Finally Helios, the sun god, found the courage to tell Demeter that he saw her daughter taken – snatched by the dark king of the underworld. With the crops going to ruin, and an earth trapped in endless winter, Zeus finally stepped in and demanded that Hades return Persephone to her mother. Hades agreed to return her, but with the stipulation that she must fast, along with the suffering earth, during her time in the underworld. Persephone dutifully abided by the rules, in spite of the great temptations placed before her by devious Hades. However, just before she is to be released, Persephone is tricked into eating a handful of pomegranate seeds by the crafty Hades. After starving for months in the underworld, the beautiful, plump fruit proved irresistible. 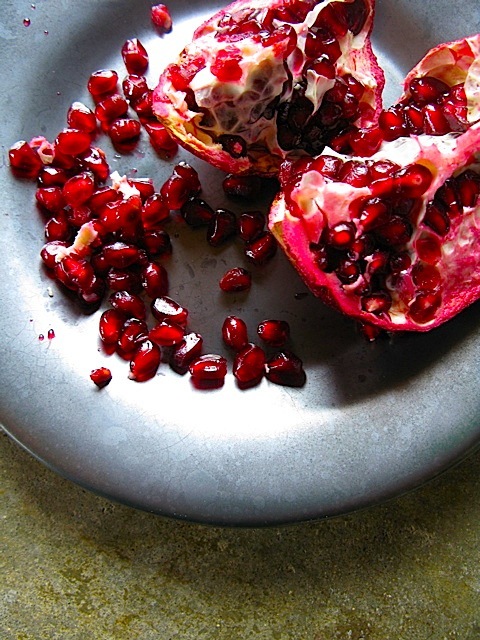 Persephone let three pomegranate seeds pass her lips. The Pomegranate, (Punica granatum), also known as the Chinese apple or the “many-grained apple”, is believed to have evolved in the Middle East, near modern Iran. Some believe that this, not the common apple, is the fabled fruit of The Garden of Eden. 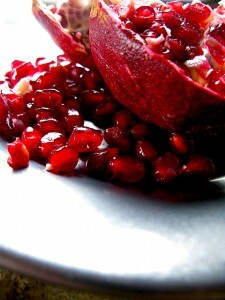 The pomegranate has been cultivated by mankind since the very beginning of recorded history. 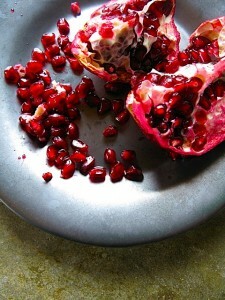 In the United States, pomegranates were introduced to California by Spanish settlers in the late 1700’s. 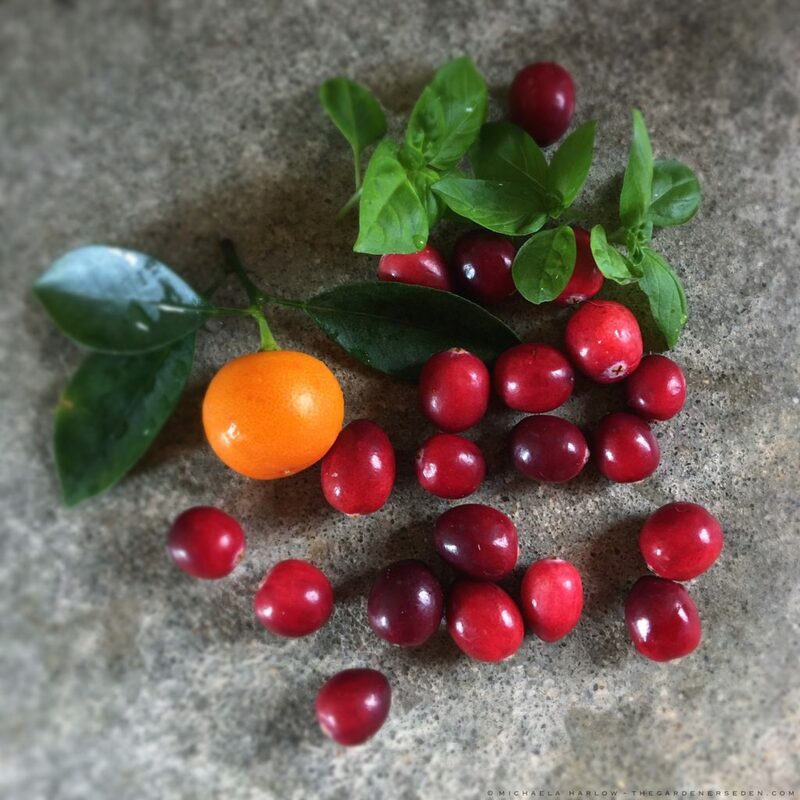 Today the pomegranate tree is grown throughout the world in dry, warm climates similar to the Middle Eastern and Mediterranean regions where it was originally found. 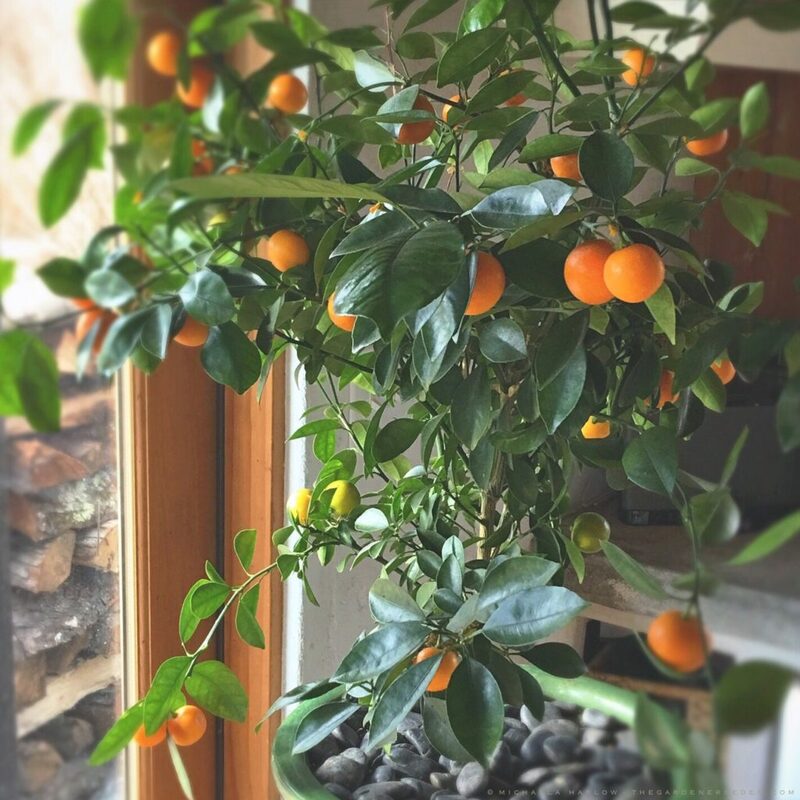 In the U.S. it is commonly raised in California, Arizona and other southwestern states. 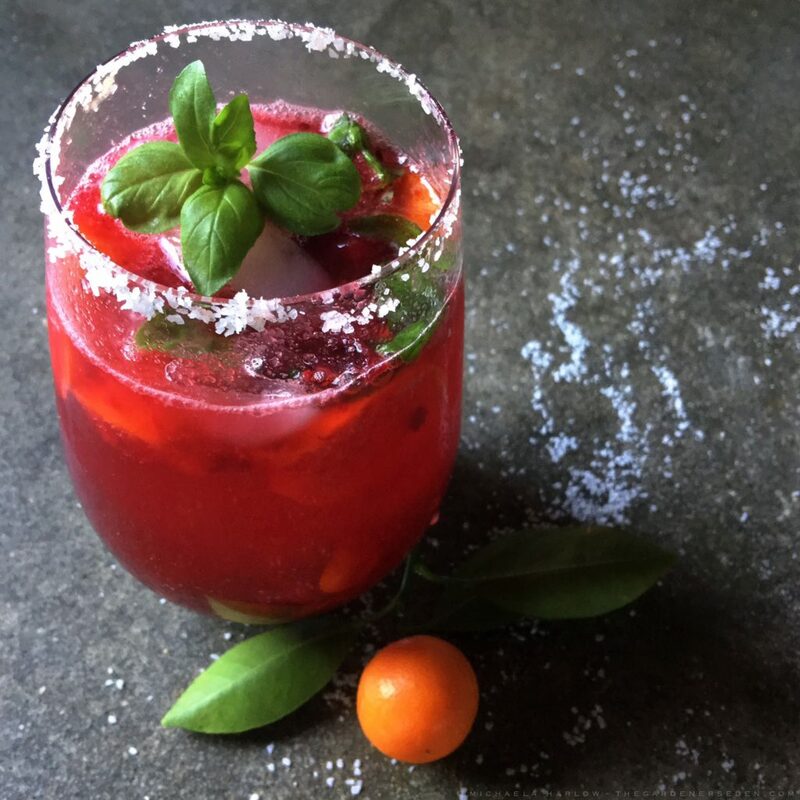 To make this delicious and festive cocktail, begin by selecting a dark red pomegranate, (Punica granatum) from the market, (deep red, leathery skin is an indicator of ripeness). Tear open the leathery skin and remove the juicy red seeds from the pith. Opening the pomegranate may require a bit of effort. This is a fun-messy job, so get near a sink and towels – it helps to begin with a sharp knife. Once you get through the tough skin, simply rip the shell open. Drop three seeds into the bottom of a tall champagne flute. 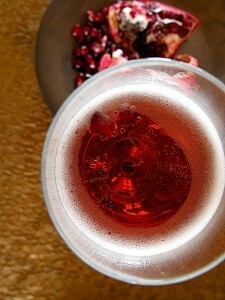 Add 1 ounce of pomegranate liqueur or 3 tablespoons of pure pomegranate juice. 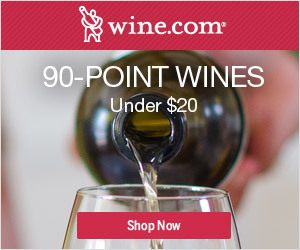 Fill the glass with 5 ounces of dry, sparkling wine or brut champagne. Enjoy watching as the pomegranate seeds rise and fall delightfully in the bubbles ! Happy Holidays Everyone – Cheers ! When sparkling wine is added to the flute, the pomegranate seeds are lifted by the bubbles, rising and falling in the glass – Magic ! You are currently browsing entries tagged with Holiday Cocktails at The Gardener's Eden.